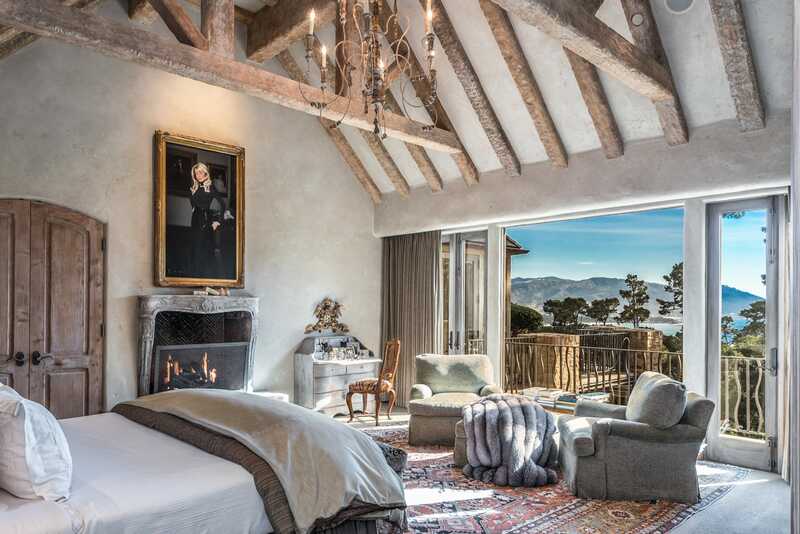 Beautiful views of Carmel Beach, Point Lobos and the ocean beyond are featured from this European estate-like property. On 1.53 beautifully landscaped acres with manicured hedges, meandering pathways, idyllic gardens, water features, a flowing brook, and several private patios which include an outdoor kitchen, the property is a garden-lovers delight and offers many options for outdoor living. Designed by John Newcomb and built by Doug Borregaard using the finest craftsman and quality materials, the property features beautiful stonework throughout. The home boasts radiant heated limestone floors featuring inlaid cedar and hand-scraped high cedar-beam ceilings, as well as magnificent 17th-century fireplaces. Many antique fixtures adorn the home which were carefully selected and imported from Europe. Built in 2010, the main residence features a formal living and dining room, family room with fireplace opening to a limestone patio, 4 bedrooms, 5 baths, plus 3 half-baths, his and hers baths and closets in the master, a spacious wine cellar, private office opening to an enclosed patio, game room with wet bar, media room and 3-car garage. There is also a separate 2-bedroom, 2-bath guest house will kitchen and sitting room. 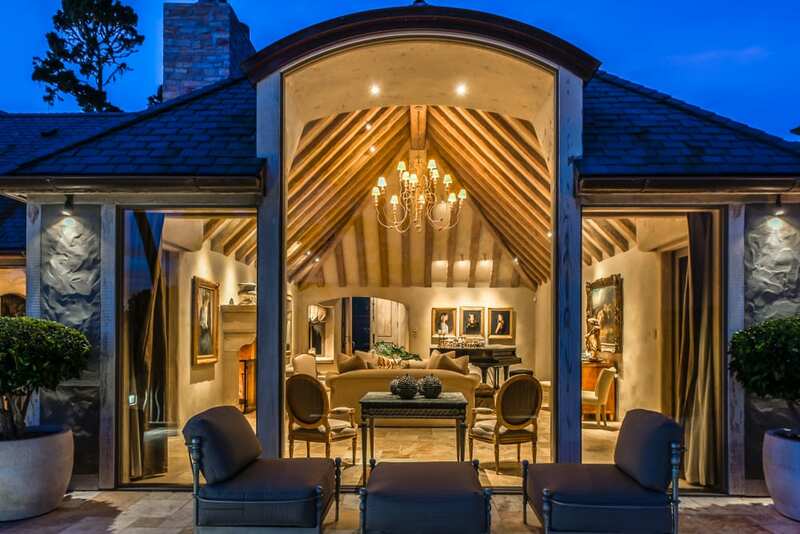 Find true luxury in this European-inspired estate.